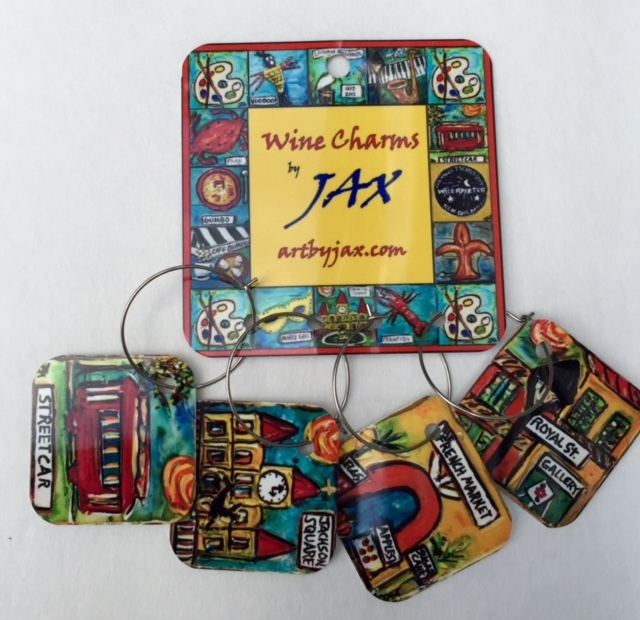 Colorful sets of Wine Charms with images of beloved Louisiana and New Orleans icons. 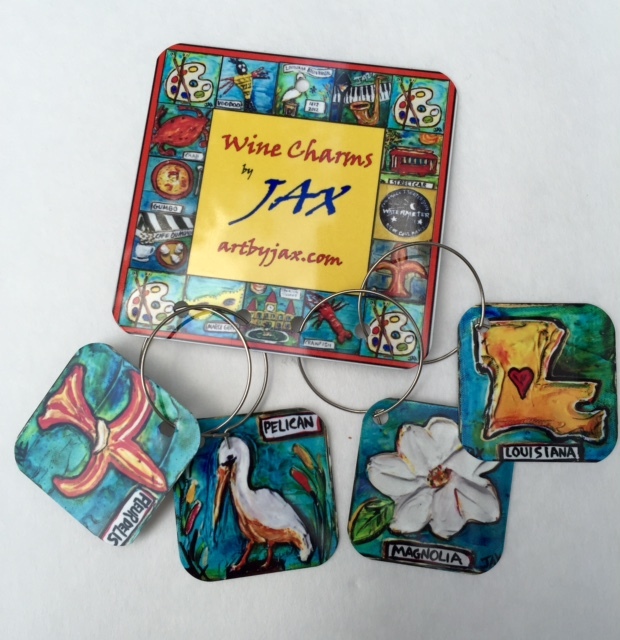 Each charm is a 1-1/4" metal square attached to a metal holder. Add a bottle of wine and you've got a super gift combination!